The Advanced Open Water course is a great way to build on what you have already learned in your Open Water course. You will develop new capabilities and be introduced to new diving activities whilst increasing your confidence in the water. And no, you don’t have to be an advanced diver to take the Advanced Open Water diver course – it’s designed so you can go straight into it after completing the PADI Open Water Diver course! This is a great way to gain more diving experience while continuing to learn under the supervision of a PADI Instructor. At Tortuga Divers we offer the Advanced Open Water Course online, which means you can get into the water faster! You will complete the theory section of the Advanced Open Water course online (sign up here - fee of US$158.00 payable direct to PADI), prior to arriving in Grand Cayman. You will then have access to interactive presentations that include videos, audio, graphics and reading. Short quizzes let you gauge your progress, and review and correct anything you might happen to miss. This lets you move through the program efficiently and at your own pace. The PADI eLearning Advanced Diver Course is designed to suit your active and busy lifestyle. It saves time by providing the novice diver with additional training and offers insight into different types of diving (deep dive, night diving etc.) Open Water divers and Junior Open Water divers may take the Advanced Course directly after completion of the Open Water Course. The course consists of a theory session completed prior to arrival online followed by five dives which focus on a particular skill. The dives include a Deep Dive, a Navigation Dive, and three other 'Specialty' dives - which are chosen by student and instructor (e.g. night diving, search and recovery, boat diving, etc.). The course runs for one full day, and one half day. Prior to each dive, students will be required to read the appropriate chapter and complete the knowledge review. Junior Open Water divers complete the same course work as Open Water divers, but the deep dive will be limited to a maximum depth of 70 feet. 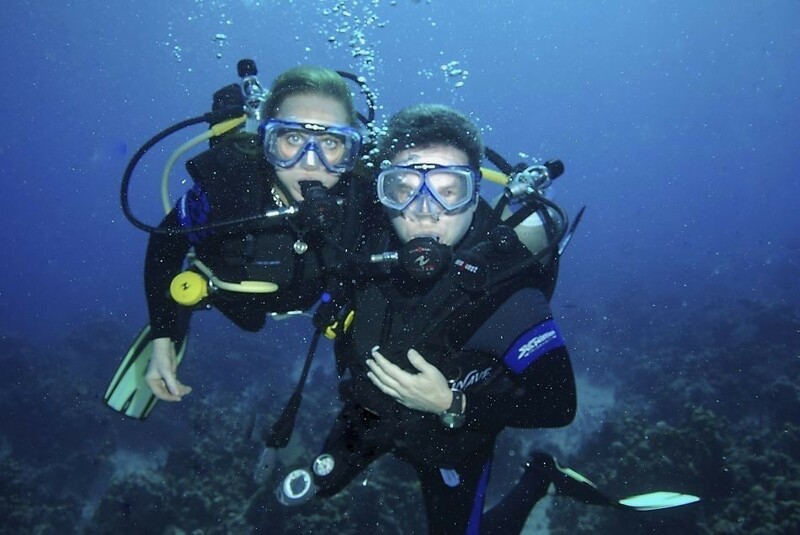 Junior Advanced Open Water divers who complete the course will receive a certification card. However, all Junior Advanced Open Water divers must still dive with an adult. When the diver reaches 15 years of age, he or she may apply for a standard Advanced Open Water certification card. The course includes equipment, boat dives, and certification materials. The Open Water certification card must be presented upon enrollment. Please note that the minimum age for eLearning is 13. This is a PADI policy and is due to internet privacy regulations and requirements. Keep in mind that eLearning registration is a credit card process, so those underage will require parental permission and guidance to get started. You must be a PADI Open Water Diver before participating in any in-water training. A Confidential Medical Form must be filled out prior to enrollment, and a physician's release may be required.